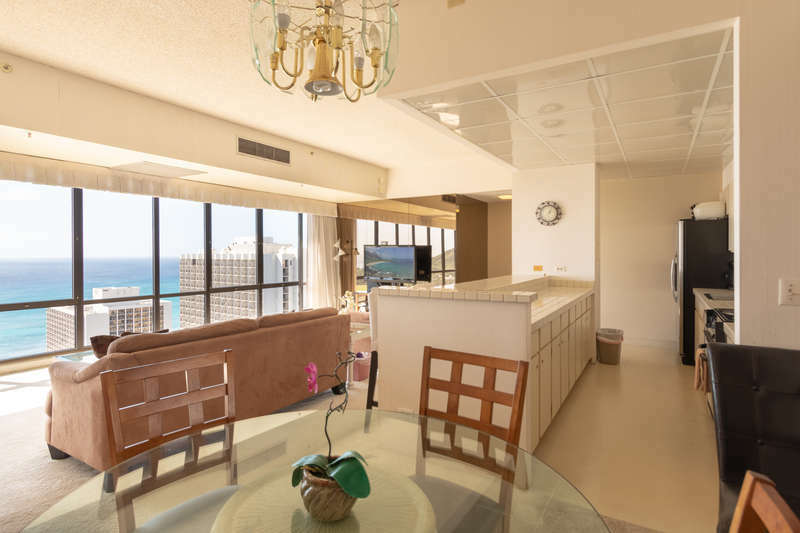 Great views of the ocean, the swimming pool, Diamond Head Crater, and Kapiolani Park from this 25th floor condo. 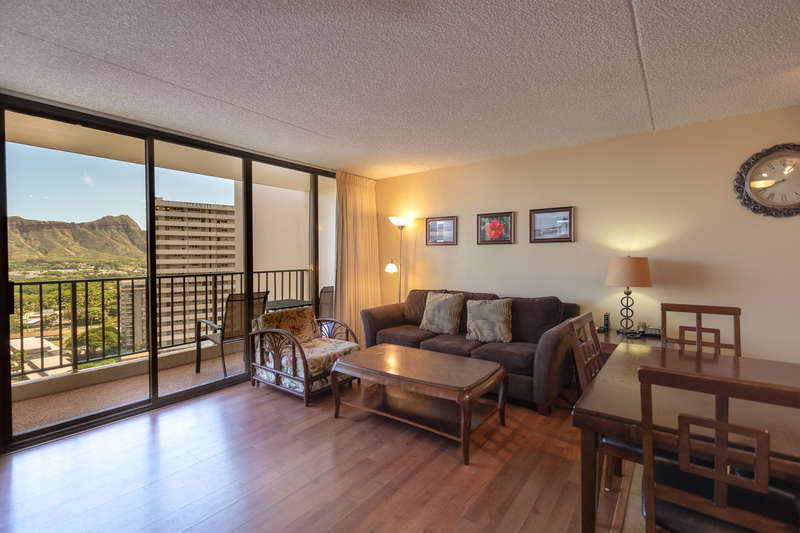 2507-1 has a beach feel with modern furnishings and decorations. Tile flooring all the way through to the lanai, and premium bedroom carpet. Enjoy a kitchen with stainless steel appliances, including a side-by-side fridge with ice-maker, and top-of-the-line cooktop. Kitchen also includes a range, microwave, rice maker, coffee maker, and other kitchen wares. This unit features a dishwasher because, after all, you are on vacation! There is plenty of counter top space on the island, which seats four people. 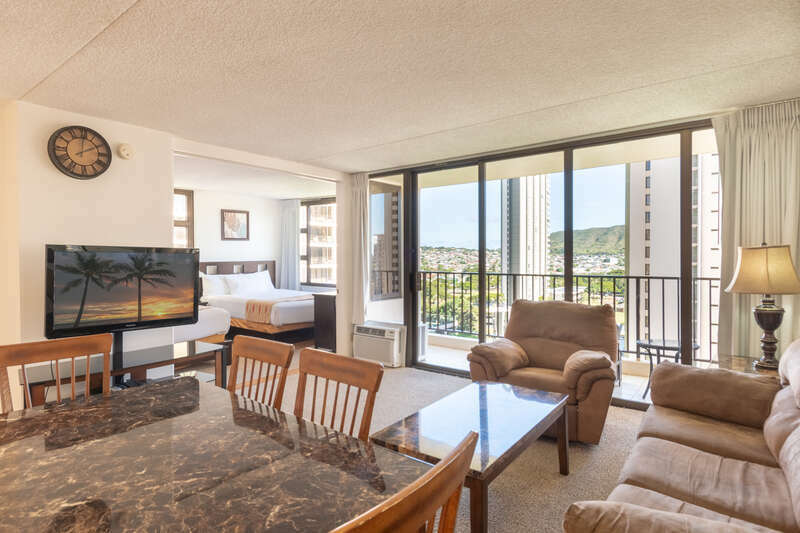 Relax with a flat screen TV with upgraded TV package on the comfortable seating choices in the living room. Convenient sleeping arrangements include two high-end queen-sized beds in the bedroom. Plus this room has lots of storage with the California Closet system in the bedroom. The bathroom has a high-end Toto washlet and a hand shower for your comfort.